Watching your parents or parent get older can be a tough thing. While you are happy they continue to live and grow old, you also know they are going to have challenges over time. With that thought in mind, would you ever consider getting a dog for your senior parent or parents? Is a Puppy a Good Place to Start? While some may hesitate to introduce a dog into their parent’s life as the latter get older, others feel it is a good idea. As long as the parent or parents are able to care for the dog, the benefits should outweigh any concerns. With that being the case, would you consider a puppy for your senior parent or parents? Now, before you fret that it will be too much for them to handle, think about the upsides to looking at puppies for sale. Having a puppy around the home can be a great way to keep older people engaged. Given the energy a puppy will bring into the home, you can bet there will be no shortage of excitement. That said make sure your parent or parents are in pretty good physical and mental conditions. If they are not, you could risk worsening their health. On the flip side, a puppy can keep them active, especially when it comes to the mind. Since a puppy can offer so much entertainment, you will have less to worry about in your parent being bored. Most dogs old or young end up providing good security for owners. That said a puppy tends to be full of energy. He or she also will have better hearing than a much older dog. As such, chances are the puppy can alert your parent or parents to any notable issues around the home. This can include everything from one trying to gain entry that should not be there to fires and more. If you only have one older parent, chances are they get lonely. With that being the case, a puppy by their side can be the perfect little companion. Puppies also need and want attention. 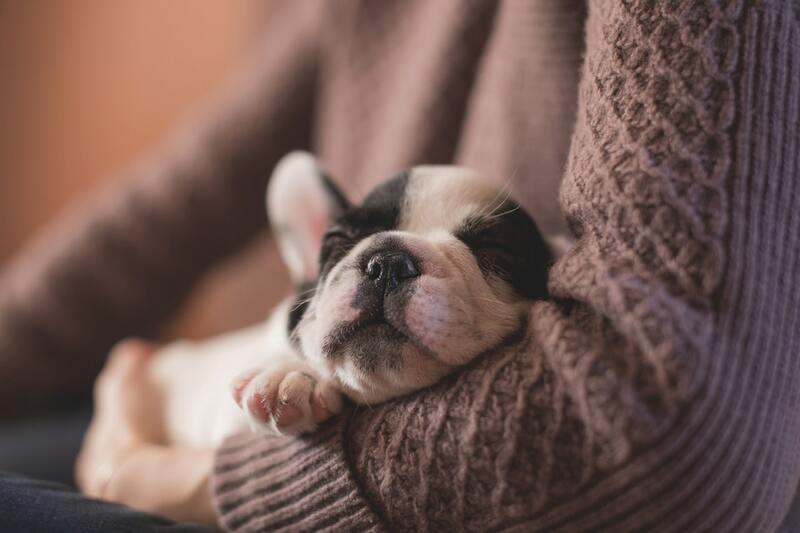 In bringing together your parent and a puppy, it is a win-win for both of them. Unless you live rather far away and do not get to visit often, what better reason when close to go see them? Not only do you enjoy the company of your family, but you also get time with the puppy. If you decide to push forward with a puppy, be sure to research the various breeds out there. You of course want to have the input of parents on this matter too. Keep in mind that your parents or parent may live around others in a senior’s complex or area with puppies. As a result, ask them if any certain breed appeals to them. In considering a dog for a senior parent, it may end up being one of the best decisions you make.